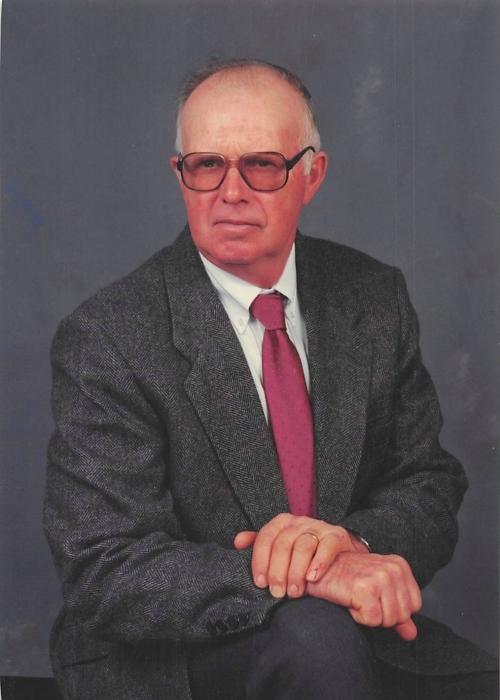 J. Raymond Claggett, age 87, of Mount Vernon, went to be with his Lord and Savior on August 30, 2018 in his home surrounded by his loving family. He was born on September 23, 1930 in Licking County to the late James F. and Mary Ann (Davis) Claggett. Over the course of his life Raymond embodied what it means to be a hard worker, a dedicated and determined provider, and a man who loved Creation. He supported and loved his family deeply and was a lifelong Knox County farmer. Raymond is survived by his three children, Judy (Paul) Phillips of Mount Vernon, Bonnie (Brian) Van Winkle of Mount Vernon and Dennis (Jessica) Claggett of Bladensburg; a sister, Martha Baughman of Newark; his grandchildren, Shawn (Lyn) Phillips, Barry (Katie) Phillips, Olivia (Zack) Beougher, Kaylee Van Winkle, Devin Claggett, Jesse Wolford, Jasmine Smith; great-grandchildren, Landon, Carter, Brodie, Brianna, Zachariah, Nicholas, Levi, Amelia. He was preceded in death by his wife, E. Joan Claggett in June 2017, brothers, Wilbert, Lee and Edwin; sisters, Hattie Carpenter, Bertha Sturgis and Etha Layton. Friends may call on Monday, Sept. 3, 2018 from 1:00 – 3:00 PM at Lasater Funeral Home, 11337 Upper Gilchrist Rd. in Mount Vernon. Funeral services will be held on Tuesday, Sept. 4, 2018 - 11:00 AM at Bladensburg Church of God with Pastor Matt Schwartz officiating. Burial will follow in Union Grove Cemetery in Gambier. Memorial contributions may be made to: Kindred Hospice or Bladensburg Church of God.